What Is Assisted Living and How Can It Benefit Your Loved One? Assisted living is senior care that offers assistance to people who are still independent by may need help with daily tasks, like cooking, cleaning, getting around, medication management, and other health care needs. In an assisted living community, residents live in apartments or small cottages, surrounded by other residents. Families and loved ones can, and are encouraged to, participate in the assisted living community as well. An assisted living community provides transportation, housekeeping, meals, and some health care services to its residents. Choosing home care or a nursing home is often more expensive than moving to an assisted living community. The 2015 Genworth Cost of Care Survey states that a one-bedroom, single occupant unit in an assisted living community costs about $43,200 per year. This cost includes 24-hour help and other amenities, such as meals, housekeeping, and medication assistance. While home care is usually billed by the hour and the cost varies depending on the amount and type of care needed, the survey says that the annual cost of home care is about $58,240. This price does not include any additional amenities. As far as nursing homes go, the survey found that a semi-private room in a nursing home costs about $80,300, nearly twice as much as the cost of living in an assisted living community. 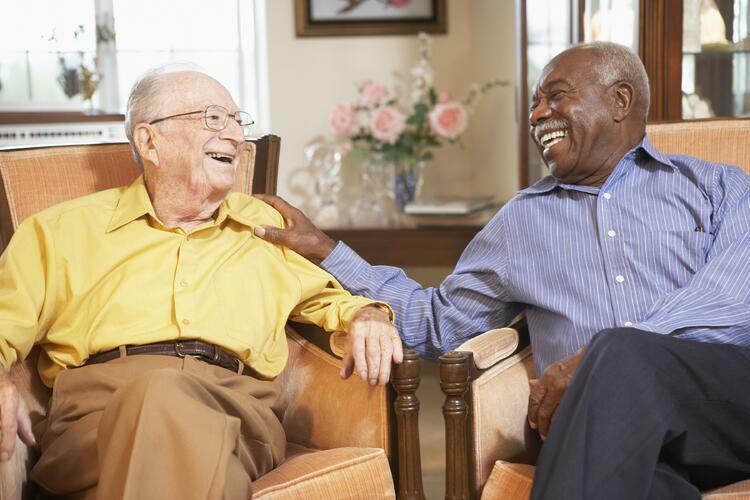 The social atmosphere is a very important part of living in an assisted living community. One study found that increased social interaction can actually help to prevent or delay cognitive decline as people age. In an assisted living community, residents share a common space with other residents where they can gather and socialize. There are community-planned social events, like field trips or dances, where residents can meet and get to know one another. Other types of social interaction can also be found at an assisted living community, like clubs, recreational and wellness areas, and outdoor spaces for walking and doing other activities. A senior’s ability to maintain independence while still getting help for some daily tasks is a very important part of living at an assisted living community. While residents at an assisted living community may need help with certain daily tasks, they are independent and mobile. Certain on-site medical care is available at an assisted living community, should the need arise, but residents at the community do not require 24-hour medical monitoring the way that residents at nursing homes do. Comforts like cable television, a stove, and a private bathroom are regularly offered in assisted living communities, because these communities are designed to feel like home. Are You Considering Assisted Living? Read about 10 things you need to explore before choosing an assisted living community. Download a checklist for finding an assisted living community for Mom. Visit the Cottages’ locations page to find a community near you. 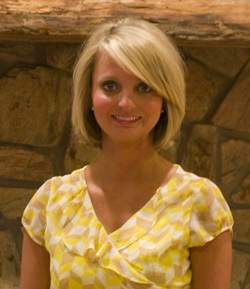 April has over 15 years of experience working with residents in their Cottage home. She has worked in the Cottage in a variety of roles, giving her a unique perspective and a true understanding of what challenges our seniors and their families face. She has two children, Alyssa and Jackson.